Do your kids feel connected to their Jewishness? To ensure they do, we work with our partners to provide children and young people with Jewish educational experiences at every stage of life, both formally and informally. The dual commitment to general education and Jewish studies, shared by all of our schools and supported programs, prepares students for the challenges ahead—in the classroom and in life. The Greensboro Jewish Federation supports many local programs to engage students including PJ Library, March of the Living. and many more. 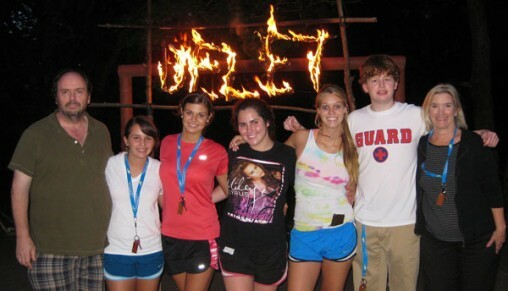 We also offer grants and scholarships to students looking to attend Jewish overnight summer camp or trips to Israel. Greensboro is home to two Jewish preschools, a Jewish day school, and a Jewish college-prep day and boarding school. Greensboro also has a myriad of independent private schools catering to all ages and diversity as well as a robust public school system. Temple Emanuel Religious School and Beth David Synagogue Religious School offer many options for students to learn about Jewish culture, holidays, history, Hebrew language and Jewish identity. BBYO is the leading pluralistic teen movement aspiring to involve more Jewish teens in more meaningful Jewish experiences. For more than 80 years, BBYO has provided exceptional identity enrichment and leadership development experiences for hundreds of thousands of Jewish teens. 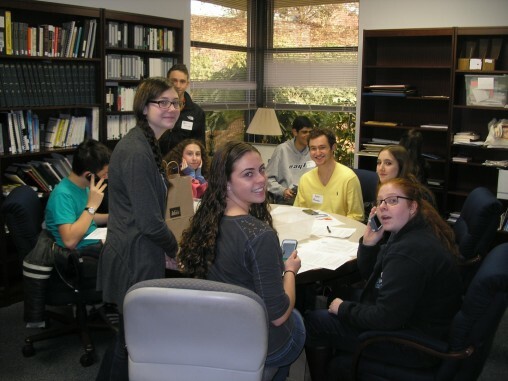 The Greensboro Chapters of AZA and BBG (the boys and girls chapters which make up BBYO in Greensboro) comprise Jewish teens from around the city. The teens are the leaders and directors of the group: anything from service program planning to services to social gatherings; they take care of all the details under the guidance of volunteer adult advisors. Greensboro has a long history of BBYO involvement and the teens today continue to make this the #1 Jewish Teen Youth Group in our area. For any questions about involvement/membership for teens, please email mbochkis@gmail.com. • Education – learning Jewish social justice values, the legislative process and the political and social reality we need to transform. • Action – going to Capitol Hill and lobbying their Senators’ and Representatives’ offices on the issues they have just studied. • Prayer – connecting holiness and justice through creative worship services. At the seminar, experts from both inside and outside the Jewish community – lobbyists, national leaders and special interest group leaders – speak to and with L’Taken participants. Every L’Taken Seminar covers 5-7 different issue areas in a variety of interactive formats. These issues, ranging from AIDS to women’s rights, from Israel to environmental and economic justice, are selected based on the current legislative agenda, in conjunction with the interests of the groups attending. In addition, each seminar includes an opportunity to tour important sites in DC such as the Newseum and the new MLK Memorial. Students will also participate in a unique Havdalah service. To learn more, contact Rabbi Andrew Koren at 336-292-7899 or akoren@tegreensboro.org. North Carolina Hillel is the foundation for Jewish campus life at all colleges and universities in North Carolina (except Duke University) - the only statewide Hillel in the country. Based in Chapel Hill but serving campuses across the state, North Carolina Hillel's staff and student interns work to create vibrant Jewish campus communities and develop our community's future leaders. 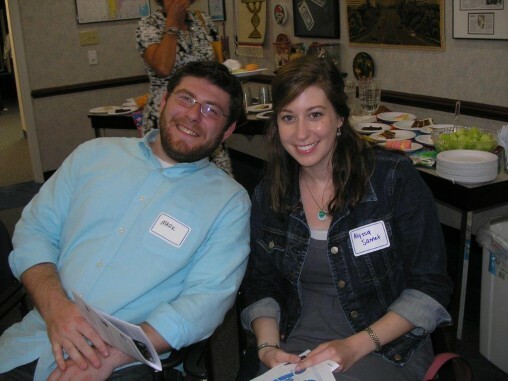 The mission of North Carolina Hillel is to enrich the lives of North Carolina's Jewish undergraduate and graduate students so that they may enrich the Jewish people and the world. NC Hillel seeks to provide students with meaningful Jewish experiences and foster within them an enduring connection to Jewish life. For more information, visit www.nchillel.org. The Gesher Greensboro Internship Program connects Jewish students and young professionals with real-life experience. In this fashion, our organization is linking opportunity with community. During your stay in the Triad, we will be offering programs and events that promote the vibrant culture, community, and exciting opportunities available in Greensboro. Find out more more information about Gesher Greensboro and how to build bridges between opportunity and community. The Jewish Educational Loan Fund grants interest-free loans to Jewish students from Florida, Georgia, North Carolina, South Carolina and Virginia for post-secondary study at accredited institutions. JELF’s loans are “last dollar” — they supply the final funds that a student needs to attend school. These loans can be used for study at a college or university, graduate school or professional/vocational school that leads to a degree or certificate. For more information, visit www.jelf.org. 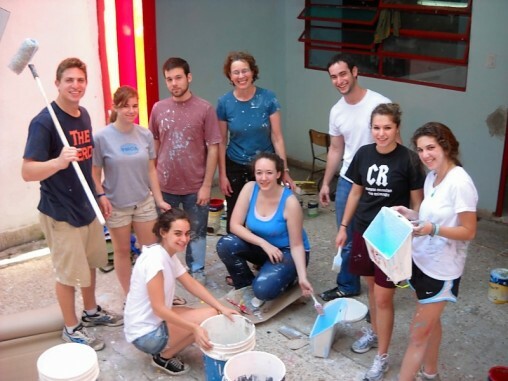 Many high school and college-aged students participate in Israel programs to experience history, culture, leadership, and service throughout the Jewish state. Need-based scholarships for camps and Israel trips are available. Each summer, the Federation sends volunteers to Beltsy, Moldova, to facilitate Camp Delet, a program designed to help Jews, young and old, to continue to grow Jewishly, both spiritually and ritualistically. CLICK HERE to find out more about the partnership between Greensboro and Beltsy.